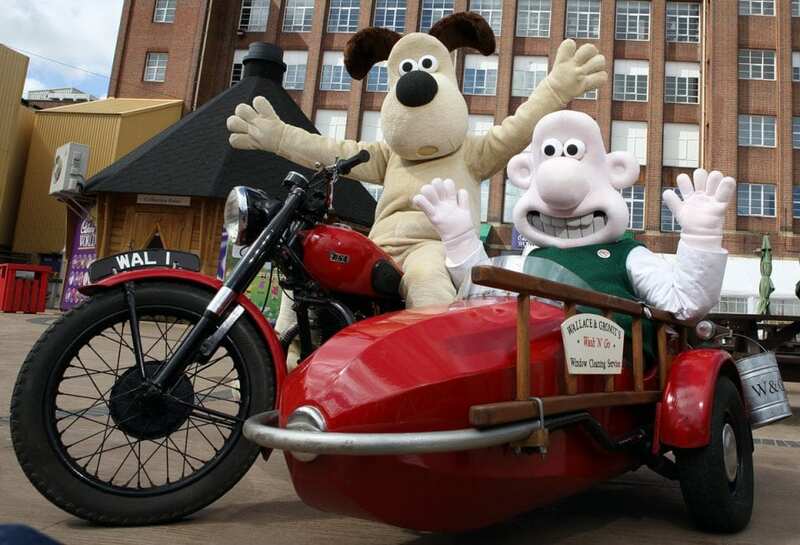 The world’s biggest collection of British-built bikes has been given a mammoth makeover in recent months and the new-look displays at the National Motorcycle Museum have just been unveiled. 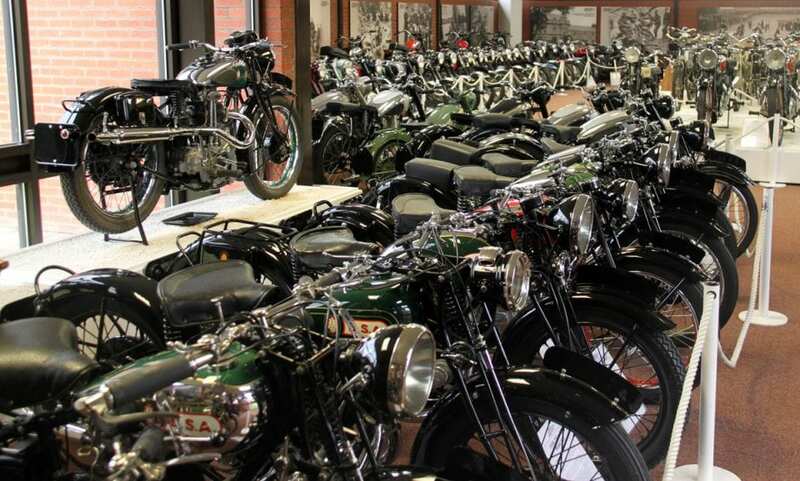 The five halls which showcase the majority of the museum’s machines have been completely reconfigured, bringing some remarkable motorcycles into the limelight and providing regular visitors with an entirely fresh perspective. The NMM inventory runs to over a thousand British motorcycles, from familiar production models to rare prototypes and unique historic racers. Built in three different centuries by more than 170 manufacturers, these machines offer unparalleled insights into the history of the British motorcycle industry, its high points… and some of its weirder ideas. 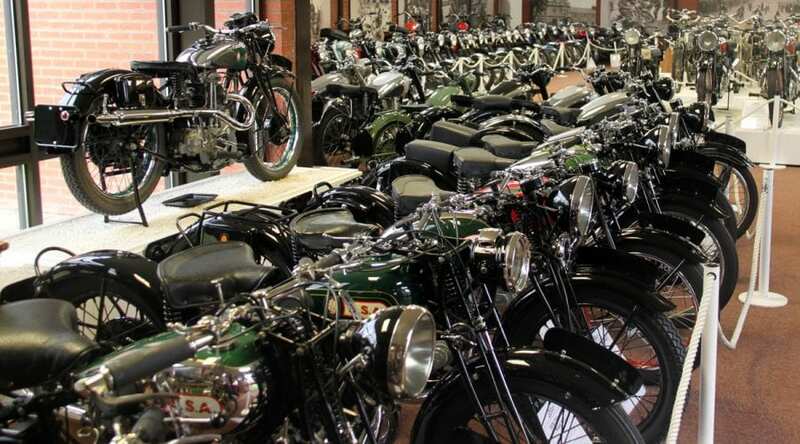 There’s only room for around 850 bikes to be displayed at any one time so the NMM team, headed by James Hewing, took this opportunity this winter to reorganise and showcase some of the museum’s star bikes which haven’t been seen of late. Step into the foyer and you’ll be greeted by temporary exhibitions which at the moment include sidecar outfits and Velocette roadsters. 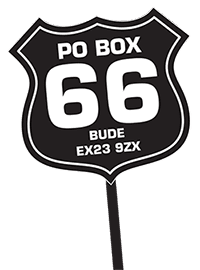 There’s no admission charge to this area (you only pay to enter the permanent display halls) so you can easily browse through the extensive motorcycling memorabilia and books in the museum’s shop or grab lunch in the excellent restaurant upstairs. 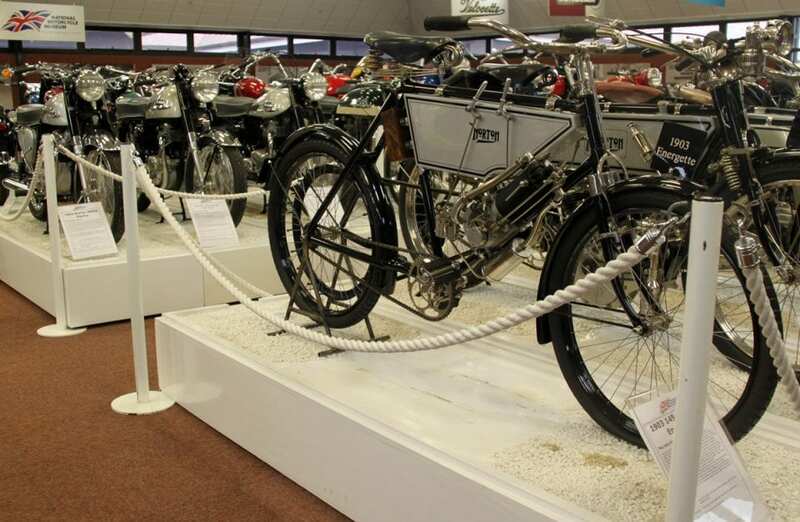 Hall One provides an overview of the development of the British bike with its Sixty Glorious Years display. This theme was the idea of the museum’s founder, Roy Richards, and covers the period from 1898 to 1960. Bikes of all types and marques are displayed in chronological order from the earliest veterans through to the world-beating Triumph Bonneville. 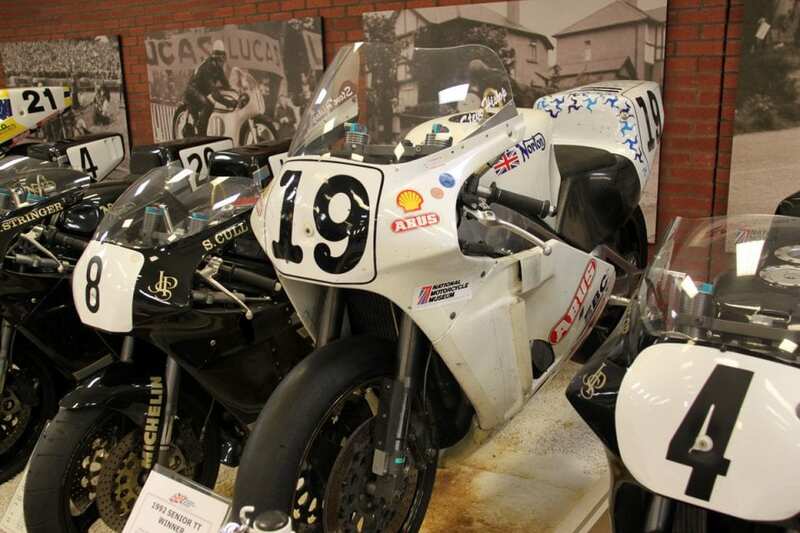 This hall also includes a series of special displays, dedicated to Geoff Duke, Vincent road machines and Sunbeam motorcycles. 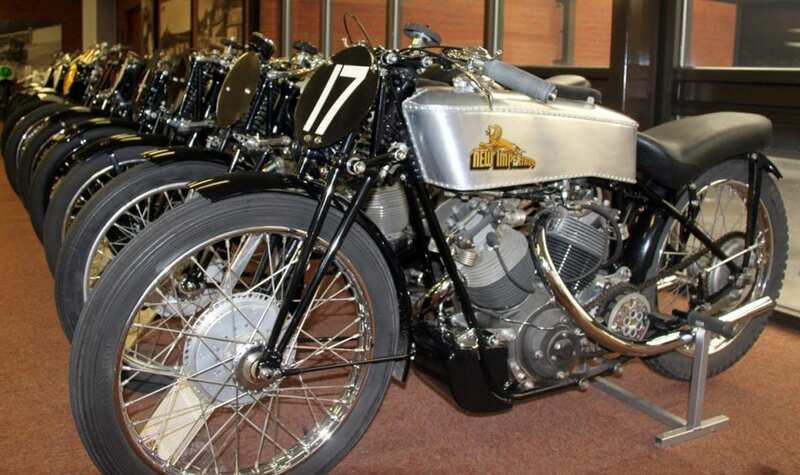 Hall Two features road-going motorcycles from manufacturers in alphabetical order, A to C (excluding BSA) which includes Brough Superior, alongside military machines and working bikes used by the police and other services, 22 prototypes, and the museum’s photo studio where you’ll find extra-special bikes on temporary loan. Hall Three hosts the museum’s massive collection of BSA and Matchless motorcycles, all lined up in year order along with other roadsters D to M.
Hall Four features Norton, Triumph and Royal Enfield bikes; again, organised in chronological order. Hall Five contains the NMM’s competition motorcycles including road race, off-road, sprint and drag bikes and world-beating record breakers. 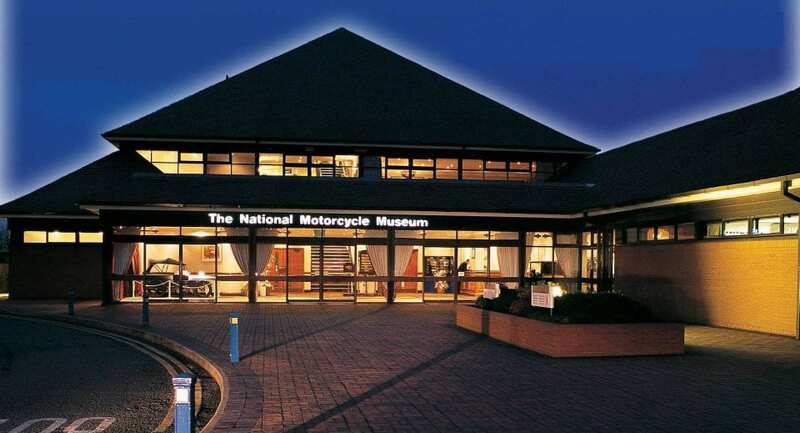 This is also where you’ll find the NMM’s famed array of ex-works Norton rotary racers including Steve Hislop’s TT-winning machine, nicknamed the White Charger.